"I was brought up in St Andrews from the late 1960’s and then returned to Freuchie in the 1980’s and then to Upper Largo where I still live. The produce of Scotland has always been my passion as well as encouraging my fellow Scots to make better use of it and to enjoy the seasons." Christopher has worked in hotels and restaurants striving to raise standards and awareness. He's also written books on Scottish produce and cooking as well as whole animal cooking and now has embarked on a series of little vegetable books with photographs by his wife, who is a professional photographer. Here in Fife we are blessed with a rich larder of produce covering all aspects of food from vegetables and fruits to seafood and both wild and farmed animals. Above all, we can eat a calendar of Fife and enjoy new foods as the seasons progress. I've worked in hotels and restaurants striving to raise standards and awareness. I have also written books on Scottish produce and cooking as well as whole animal cooking and now have embarked on a series of little vegetable books with photographs by my wife, who is a professional photographer. I've presented on television and make regular contributions to radio, as well as writing for magazines and journals. I provide demonstrations and presentations for both the hospitality industry and the business world and work with many food companies, farmers markets and event organisers. 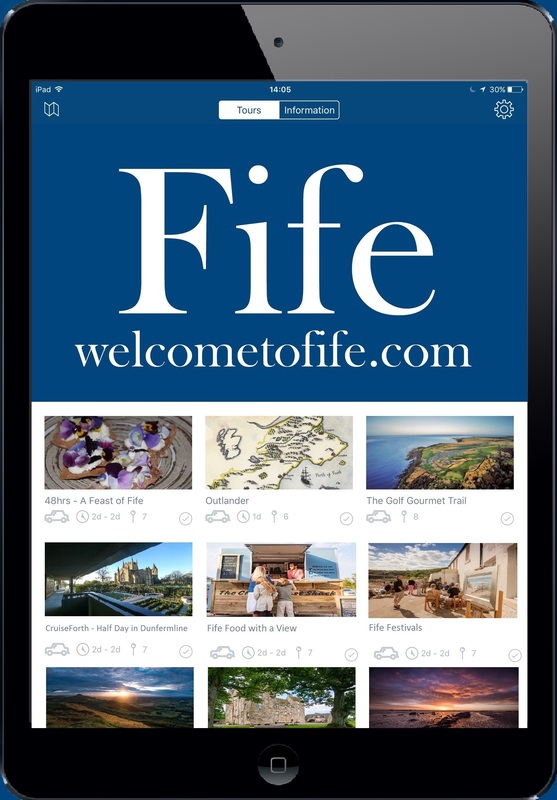 Fife is the greatest place to live and work as there is something for everyone. We have the coastal path which is one of the finest walks in the world, we have culture from the art galleries in Kirkcaldy to St. Andrews and are steeped in history, with the former Scottish capital of Dunfermline and wonderfully maintained villages such as Culross. We also have one of the finest universities in the world with all the cultural connections associated with that. The East Neuk has award-winning musicians as well as a plethora of art and music festivals to keep you busy from March to November. It has also some great places to eat such as the Peat Inn, which is probably the best rural restaurant in Scotland. I'm proud to be a Fife Ambassador." Based up in the Lomond Hills, nature nut and hillwalker Ben Dolphin is the author of online wildlife and environment blog, Benvironment, and he writes regular nature columns for Walkhighlands and Outdoor Enthusiast Magazine. Being a countryside ranger gives him plenty of inspiration and through his writing, photos and video blogs, Ben uses his encounters to enthuse people about the natural world, Scotland’s diverse landscapes and….of course…..Fife! Twins, Guy and Jamie McKenzie, now 28 years old, created Blown Away in 2007 with drive, ambition, creativity and a land-yacht!